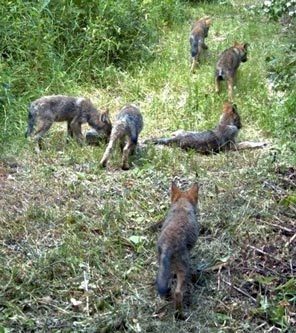 OLYMPIA, Wash.— Conservation groups today called on the Washington Department of Fish and Wildlife to stop providing wolf location information to Stevens County, which recently adopted resolutions claiming a constitutional right to kill wolves and exhorting its citizens to do so. In a letter sent today, the Center for Biological Diversity and Cascadia Wildlands said the agency must immediately revoke written agreements to disclose daily locations of radio-collared wolves to county officials. The groups also urged the agency to rescind agreements with other counties if those counties adopt similar resolutions. The state wildlife agency has wolf location agreements with six counties, several individuals and one private entity. The agreement with Stevens County includes an admonition that sensitive information “should not be” redistributed, but does not prohibit it. Agency officials admit that no mechanism exists to prevent disclosure and that if leaked information leads to the illegal killing of a wolf there is little, if any, means to trace that death back to the leak. The sharing of wolf location information is highly unusual; the agency does not share sensitive location information about any other threatened or endangered species. Washington’s wolves were driven to extinction in the early 1900s by a government-sponsored eradication program on behalf of the livestock industry. Since the early 2000s, the animals have started to make a slow comeback by dispersing into Washington from Idaho and British Columbia. Though Washington’s wolf population was estimated at only 52 animals at the end of 2013, the agency has twice conducted highly controversial lethal control actions on wolves, both of which took place in Stevens County. In 2012 nearly all of the Wedge pack was killed and six weeks ago the agency killed the alpha female of the Huckleberry pack. In response to public outcry over the handling of the Huckleberry pack and wolf-livestock conflicts, the agency is holding a public meeting in Colville tonight at 6 p.m. at the Colville Ag Trade Center, Northeast Washington Fairgrounds, 317 West Astor Ave. The public will be able to share their views on wolf management and recovery in Washington and ask questions of agency officials. The agency plans to hold a similar meeting in Lynwood on October 14 at 6 p.m. at the Lynnwood Convention Center, 3711 196th St. SW.
Cascadia Wildlands is an Oregon-based, non-profit conservation organization with approximately 10,000 members and supporters throughout the United States. Cascadia Wildlands educates, agitates, and inspires a movement to protect and restore Cascadia’s wild ecosystems. I don’t understand this.. Dont the citizens want to have healthy deer and elk and keep the coyote population under control? Wolves avoid people, take down the sick animals which slows the spread of diseases. They also weed out the older elk, allowing for healthier mammal breeding. Look at how healthy Yellowstone is!!!! Please, do not give up on saving yhese beautiful animals. They are God's creation & serve an important place in God's plans for nature. They were not created to be hunted, tortured & killed by ignorant people. They are loyal to their pack (family) and they mate for life. How many of the people hunting them & killing them can make the same claim? Very few, if any.The wolves have more decency & morales than the humans. Then there is the Fish & WILDLIFE Agency. Who's job it is to Protect wildlife, like wolves, helping the ones who are trying to Kill the Wildlife. These people should all not only loose their jobs, they should be brought up on charges & prosecuted. If for nothing else than taking salaries for supposedly doing one thing but in fact actually doing the exact opposite. Thumbing their noses at everyone & at the laws they are supposed to be ruled by. Call me crazy, but right is right and wrong is wrong. Leaving the wolves alone is the right thing to do. Having had more contact with these wolf killers that I anyone should ever have, I have come to the conclusion that parts of Idaho, Montana and Wyomig are governed and inhabited by complete morons who would shoot their own granmother and call it a "Sport" if they thought they could get away with it. These "people" (and I use the term loosely), put firearms in the hands of small children and call that "parenting done right". Seriously, if there was be some kind of minimum IQ test to determine if you are sane and evolved enough to own firearms, most of these people would be allowed to own slingshots..
Rebublican Family Values – aren't worth spit. So because I teach my son how to be self sustaining by fishing and hunting ( he actually received a 410 single shot shotgun for Christmas last year) that makes me un evolved and a moron? I dont understand…. Go in with a competent team of litigators and volunteers to the area where the wolves are exposed. Find them before the hunt ever gets confirmed authorization and get legal in junction to cease an assist the hunt and have protection an re location protocols in place to get the wolves out of harms way. Training an education for safe interaction for ranchers their familys guests livestock and personal animals can and have the right to protect but without lethal force and un necessary waste. For all that blindly believe what cascadia is saying educate yourself and don’t believe the hype! The county OK’d killing wolves that are actively harassing or attacking livestock and domestic poets or humans. This isn’t a go out and hunt wolves but a real solution that the WDFW isn’t following thru on their end. Get the facts!! If there not in your backyard and you don’t see the problem first hand you shouldn’t voice an uneducated opinion. Wolves don’t kill only the sick, weak or dying they kill the young and often for sport to train as a pack. A cougar or bear will consume 80-90% of a kill, wolves consume 30-40% of a kill and move on. Get the facts!! You might want to check some of you facts before posting. Wildlife matters are under state jurisdiction not county. The county has no authority on wildlife. The commissioners were grandstanding and they should know that. Grandstanding or not my facts are correct and more in line with the truth than the garbage that is being spued by cascadia!! The WDFW isn’t doing what they said they would and in most cases outright lying, the county while not having the authority is trying to protect its populous’s way of life!! You don’t live here, you don’t know, you don’t matter. Stay in your safe part of the world and leave these people alone! I see why you would have a problem with the truth, as the executive director you need to keep people ignorant to it to keep the funds rolling in… Eugene, Or is far enough away from the actual problem so your view isn’t very objective is it?? I dont understand how everyone in this comment section are so fast to demonize the hard working rural residents of this state. We have a way of life that gets passed on from generation to generation. If you dont agree with it thats fine, nobody wants to live in a country where everyone thinks the same anyway, but stop pushing your radical views on us. Stay in your “safe” cities and leave us alone. As Gandhi said; "The Greatness of a Nation and its Moral Progress can be judged by how it treats it's Animals."